When it comes to improving the poor state of the security of websites, web hosts certainly could be doing things over and above what is their responsibility to help with that. But at this point we are finding that they are still failing to do some things that really are their responsibility. One of those being not offering to install software on websites that is outdated and insecure. 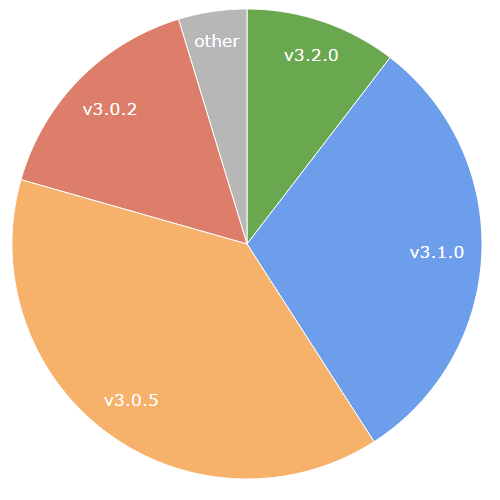 In May we discussed an instance were a web host told the owner of a hacked website that the outdated version of Joomla they were using, 2.5.28, was a security weakness while still offering to install that through the MOJO Markeplace service. Support for that version of Joomla had ended almost two and half years before, so it should have long been removed from such a service. 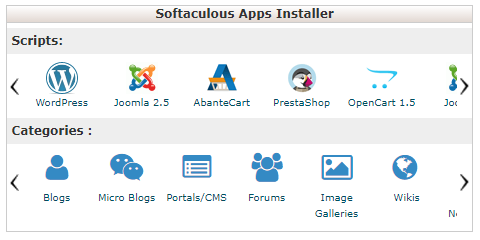 Earlier this week noted another similar service used by web hosts, Softaculous, was still also offering to install that version of Joomla as well. That version was superseded by 3.6.5 in the middle of December and that version was a security update. There have been three security updates released since then: 3.7, 3.7.1, and 3.7.3. Of the other software that they offer that we deal with a regular basis most of it is also outdated and insecure. Version 1.26.4, which includes a security update, was released last August and version 1.26.x reach end of life in November. Version 3.0.14, which includes a security update, was released in May 2015 and version 3.0.x reached end of life in November of that year. That was superseded by version 1.5.5 in March of last year. If Dreamhost hadn’t added the security patches released for version 1.5.4, then that version would have been a security update over what they are offering as well. Back in May we noted that service MOJO Marketplace, which is used by web hosts to provide their customers with quick installations of various web software, was still offering to install Joomla 2.5 despite support for that version having ended on December 31, 2014. We came across that while dealing with a hacked website where the web host that uses MOJO Marketplace’s service (and is also owned by the same company as them) and the web host’s security partner (whose owners also run the two other companies) both told a website’s owner that use of that version was a security weakness. Seeing as they also keep track of the release date, you would think they might periodically review if they are offering software that hasn’t been updated in years to see if they should still be offering it, but they don’t seem to be considering Joomla 2.5 is still available. The hack shows just how vulnerable we all are to data breaches. If anyone should have been able to prevent an intruder from compromising their files, you’d think it would be the people who sell spy software that steals other people’s files. Apparently they weren’t prepared, though. Of course, the company’s fraught status in the hacking world might have made them more of a target to attackers than a regular person would be. That version of Joomla reached end of life nearly three years, in September of 2012, so they should have longed moved to a newer, supported version of the software. It is possible that they were taking better care of the security of the rest of their systems, but the lax security of their website certainly could be an indication of larger issues. When it comes to trying to improve the security of websites, one of the problems that we see is that while many people are still not taking basic security measures with their websites there are plenty of companies pushing additional security products and services. In some cases we have seen that the inflated claims of some of those products and services lead people to not take basic measures, since those products and services claim that they will prevent them from being hacked, and because they haven’t taken the basics security measures they end up getting hacked. While we do don’t have much evidence, we are concerned that other people don’t take basic security steps since keeping seems so daunting when they are told they need to being using all of these different products and services to keep their website secure. Not only have they not updated it for ever over a year and not updated it for the two most recent major versions, 4.1 and 4.2, but they have missed three security updates for 4.0.x series: 4.0.2, 4.0.4, and 4.0.5. Since WordPress 3.7, minor version updates like those security updates would normally be applied automatically, so either Centrora Security unwisely disabled that feature or some bug is stopping that from happening in their case. If it is the later then Centrora Security could actually help to improve the security of WordPress websites by working the WordPress developers to resolve that, so that others impacted by the issue could also start getting updates. While they don’t take the basic step of keeping WordPress up to date, they produce a WordPress security plugin that they claim is the “MOST POWERFUL WORDPRESS SECURITY PLUGIN”. Probably not all that surprisingly they are not running the latest version of their own plugin on the website (the readme.txt for the plugin on the websites is from version 4.8.4), even though keeping WordPress plugin update to date is also an important security measures.